One of the most fascinating things about the medium of comics is how difficult it is to draw lines in the sand as to who did what on a given work. While writers write, artists draw, colorists color and so on and so forth, they’re all working towards a common goal: telling a story. Sometimes, the storytelling responsibility can get a bit blurry. The ideas and power of a story can come from anyone at any time. That’s why talent alone won’t get you to the top in comics. Don’t get me wrong – it helps. But there’s a reason the best works often come from either the singular vision of a cartoonist or a creative team that isn’t just good at what they do, but exceptional at complementing each other’s abilities and accepting one another’s ideas. Teams that can bring out each other’s strengths while shoring up perceived weaknesses could turn a good story into a great one. 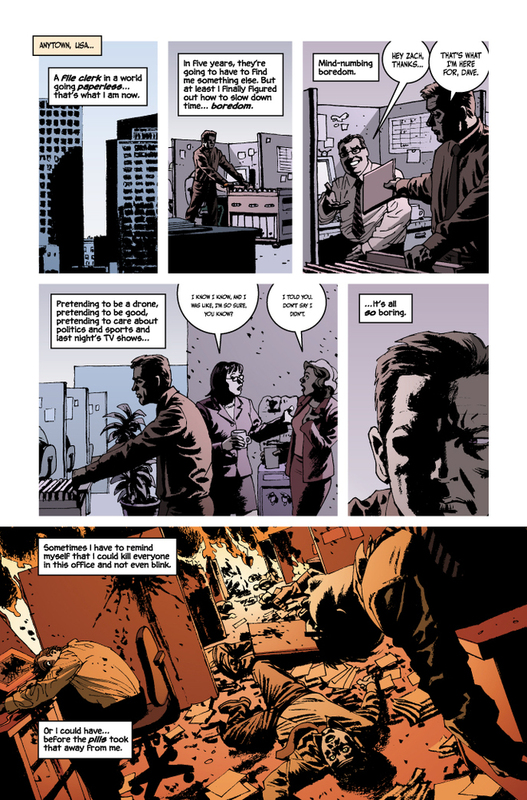 Or in the case of writer Ed Brubaker and artist Sean Phillips, a good story became more than a decade of great ones. This pair has long been – in my mind – the finest and most consistent creative partnership in modern comics. When you hear Brubaker and Phillips are working on something, the question isn’t “will I buy it?”, it’s “when can I buy it?” They’re the type of team where your pull list simply has a “Brubaker/Phillips all” item on it. That’s rarefied air, at least for me. And on April 13th, the duo has a major release set to drop, as the 10th anniversary of arguably their most famous creation – Criminal – is being celebrated with a special edition comic. It focuses on one of the core families in the book’s world – specifically, Teeg and Tracy Lawless – as we get to see the story behind their cross-country crime spree that’s previously been bandied about in the series. To celebrate the coming anniversary for them, I’ll be looking at their library of work together for a retrospective piece. 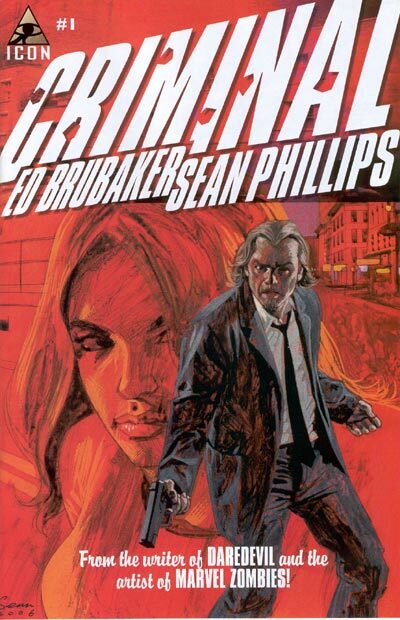 And much to my delight, there will be commentary from Brubaker on their works and partnership as well, although sadly, Phillips’ schedule was too arduous for him to participate. Still, if you’re a fan of their work, give this a read, and keep an eye out for Image Expo. I have a feeling whatever is next for them will be revealed there. I can tell you the first comic that brought Brubaker and Phillips to my attention. It was Sleeper, a Wildstorm comic about a superpowered covert operative named Holden Carver who has went undercover to infiltrate an organization that may or may not be the secret power behind the world. It first arrived in March of 2003, and after taking several years off from reading comics, it was one of the second wave of books that recaptured my love for the medium. That was my first experience with them, but it wasn’t the first time they teamed up. 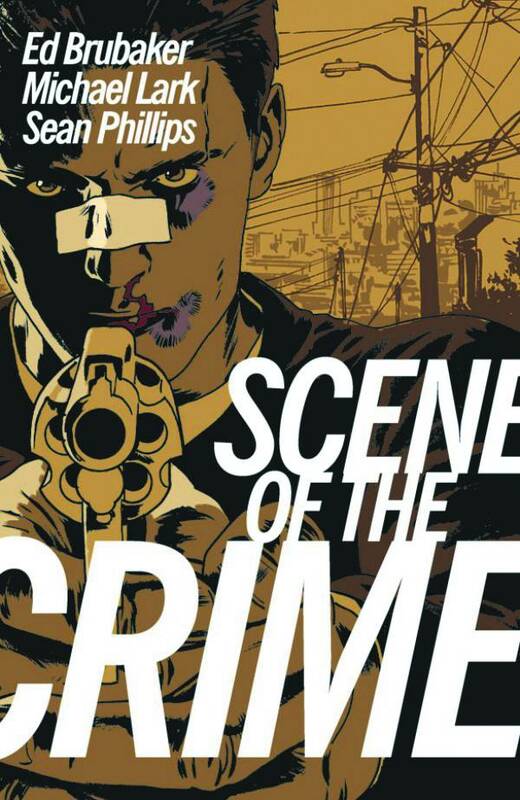 That was on Scene of the Crime, a Vertigo Comics series that Phillips stepped in on to ink artist Michael Lark to help the book stay on schedule. 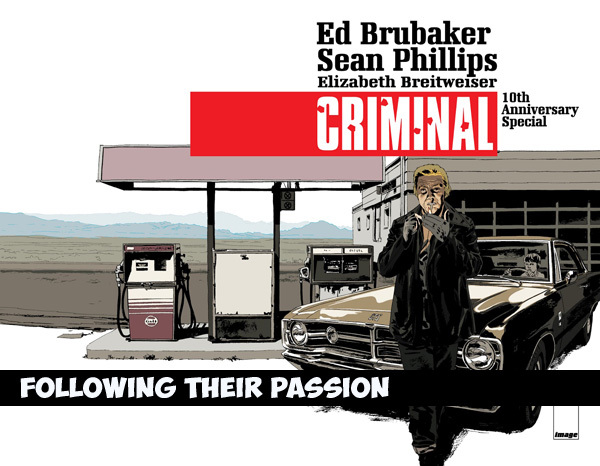 It was the first time Brubaker and Phillips communicated, and they shared an admiration for each other’s work. The duo then partnered on a for-hire project at DC – Gotham Noir – in 2001, which led into Sleeper. They kept teaming up for a simple reason: they shared a common interest in the kinds of stories they liked to tell. You could see that early on, as Sleeper was a Wildstorm book in name only. While it featured familiar characters like TAO, Grifter and John Lynch at times, it had all of the touchstones we’ve come to expect from their partnership right there at the start. In many ways, Sleeper felt like the roots of everything they ended up doing in Criminal, except with superpowers. 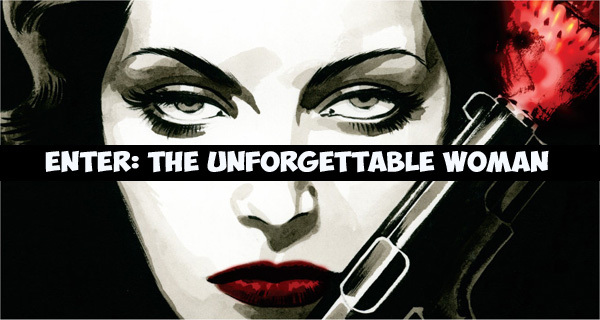 It was a noir story with superpowered dressing, filled with femme fatales, seedy bars and characters of disrepute. As someone who had read a lot of Wildstorm comics at one time or another, it was an unusual book to me, but in a very good way. And the development of that book was unusual as well, especially compared to how their later projects have come together. 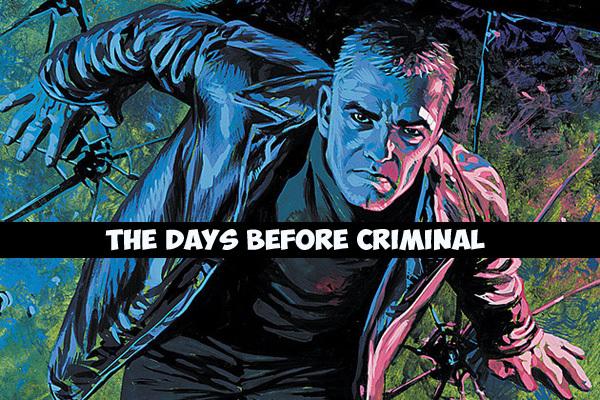 Phillips was brought on after wrapping a run on Wildcats, and Brubaker “jumped at the chance” to work with him as he had just received pages for that Gotham Noir one-shot. And even though Carver was set to appear in Point Blank, Phillips ended up being the one who designed him. In many ways, this was the first project that was completely their own. In every way but one, really. “(Sleeper) was the last time I was willing to let a publisher own one of my projects. Don’t get me wrong, I’m thankful Jim and Scott gave us the opportunity to create it, and it really solidified me and Sean as a team, but I have some regret that we don’t have ownership or control of Sleeper,” Brubaker said. As previously noted, Sleeper was very much a Brubaker/Phillips project that just happened to exist in the Wildstorm universe. 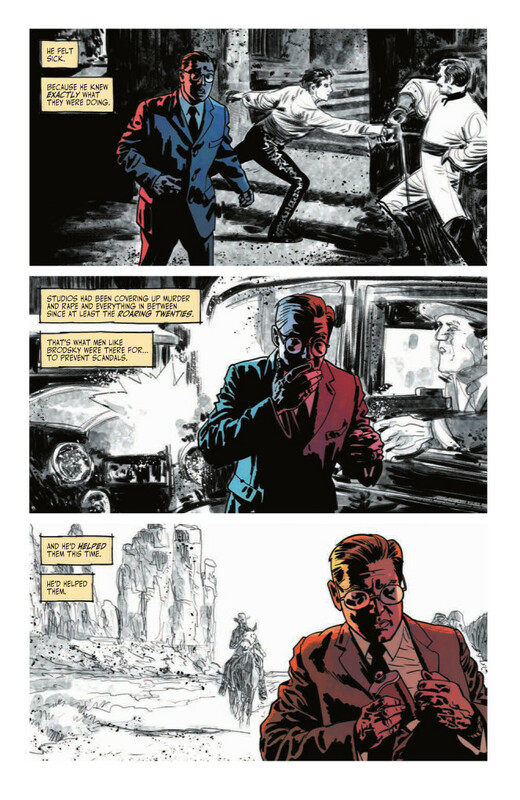 Looking back on it, Brubaker wishes they had released it at Vertigo – “where we could have at least gotten a rights reversion maybe” – but he did note that this is less about the “fair deal” they received on the book, and more about wishing they had design and release control on that book. While it’s maybe their least known large-scale collaboration, it is worth noting that Sleeper remains maybe my favorite project the pair created. While choosing just one is like selecting which child you love the most, the way Brubaker builds off of existing elements of the Wildstorm universe and how Phillips delivers moments both big and small didn’t just form a comic I loved; it reminded me of everything I loved about comics to begin with. 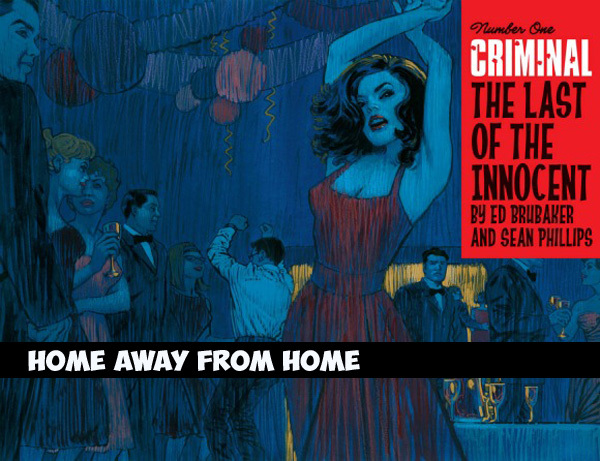 When I was emailing with Brubaker, I described Criminal – their ongoing series that looks at the tangled web of criminals that inhabit the past and present of a fictional city – as their creative home. The reason for that is simple: no matter where they go in their career, Brubaker and Phillips always seem to return to Criminal. They tend to release a one-shot or mini-series between (or even during) other projects. I look at it like how a great shooter in basketball often views free throws: it’s something that sharpens their skills and makes sure they are on-point for the next time they are taking a jumpshot. It was a project that had been with Brubaker for a long time. “Criminal was an idea I had very early in my career. I was pitching books after Scene of the Crime, trying to get my next gig going, and I was coming up with ideas that I thought might be commercial, but that I didn’t know how much I’d actually enjoy writing…and I remember telling my wife, back around 2000 or so, that I wish I could just do an ongoing book that was any kind of crime story I wanted to write. No superheroes ‘with a crime twist’ or anything like that, just the kinds of things I loved in books and movies,” he said. The beautiful thing about Criminal is while each story stands completely alone, each arc also builds up the world and its denizens at the same time. As a reader, you can pick up the sixth volume – The Last of the Innocent, which is arguably their most acclaimed work – at a bookstore and enjoy it without having read anything else in the series. Or you can be like me and buy the single issues as they come out and love it all the same. The book can be digested either way, but to get the most out of it, reading it in order reveals the careful history and world the pair was building. “It’s very intentional that a lot of the main characters in the first five books all overlap. 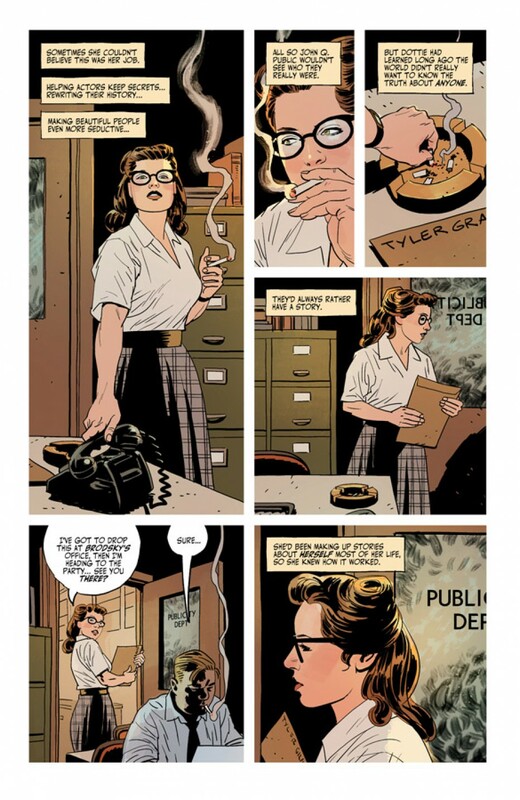 It’s like their history is the meta-story behind the story or something,” Brubaker told me. That said, the aforementioned world building isn’t the flint for the flame that is Criminal. It always starts with the character, according to Brubaker. One of the most fascinating things about the series has been seeing how their storytelling even evolves within its pages. Phillips is a consummate pro, someone who can always be relied on and is a terminator designed only to hit deadlines. 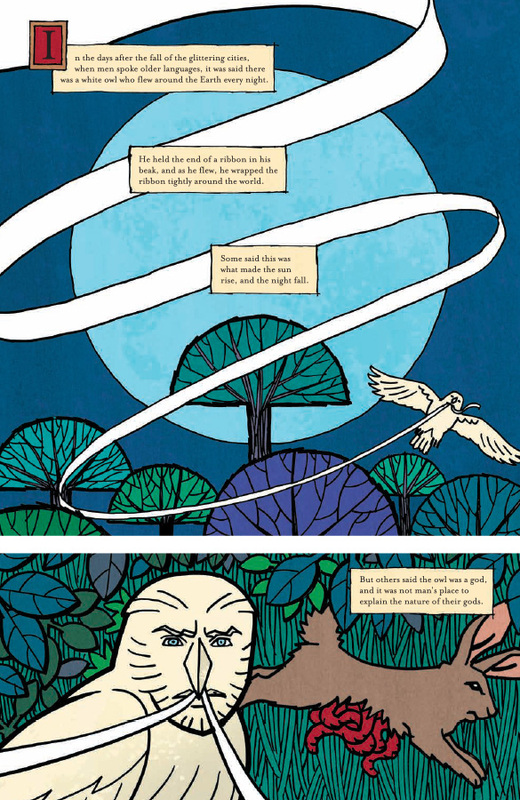 But he’s also always evolving and finding better, more fitting ways to depict a tale. Arcs like Bad Night and The Last of the Innocent show that as well as anything they’ve done. 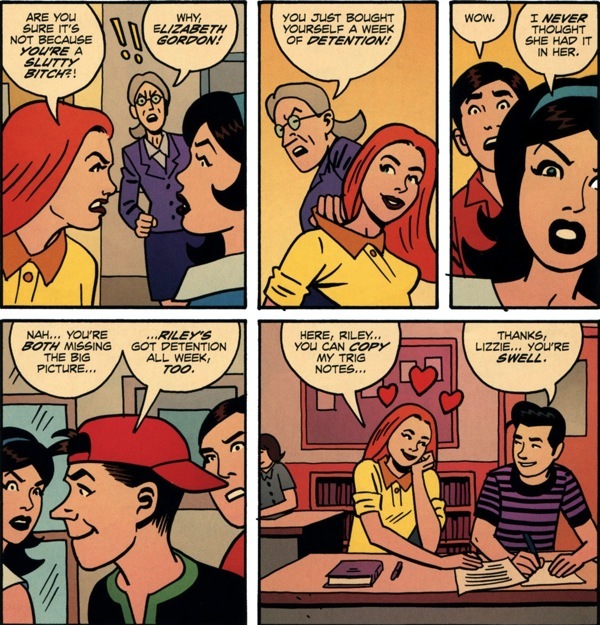 While you get everything you come to expect from his work throughout – expressive character acting, brutally effective storytelling and a conductor’s feel for pace – those arcs found him experimenting with comic strip styles infiltrating the real world in the former and a throwback Archie Comics vibe in the latter. Naturally, these weren’t strictly stylistic choices. They were purely in service of the story. That’s one of the main reasons the duo complements each other so well. While Brubaker touted Phillips for always evolving, a big reason for that is how much these creative giants challenge and push each other with story decisions. Criminal is a series that gives them a canvas to realize that evolution, and that’s one of the many reasons I’m thankful they keep coming back to it. For Brubaker, his gut drives a lot of his decisions on what to write and when, but Criminal’s something that always looms large for him. 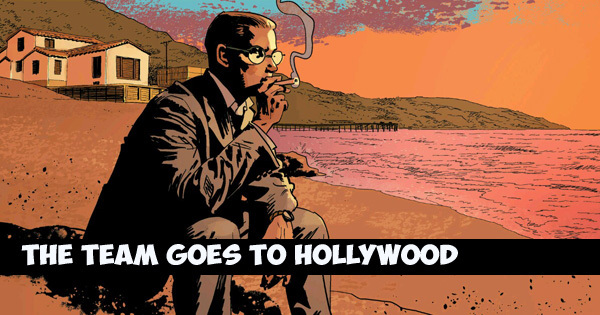 While Criminal started at Icon – a creator-owned imprint at Marvel – and has continued at Image, Brubaker and Phillips’ last project at Icon hasn’t made the move over. At least not yet. “We’re still planning to get Incognito back in print through Image. We’re just buried with all the other stuff we’re doing,” Brubaker said about the series that was, in some ways, a mirror image of Sleeper. It was a very grounded take on the life of pulp heroes and villains, following the life of former bad guy Zack Overkill after he ratted out his former boss and is struggling to adjust to making copies and drinking coffee as a typical office drone. That was the initial set-up, at least, but it developed into a larger story over its two minis. 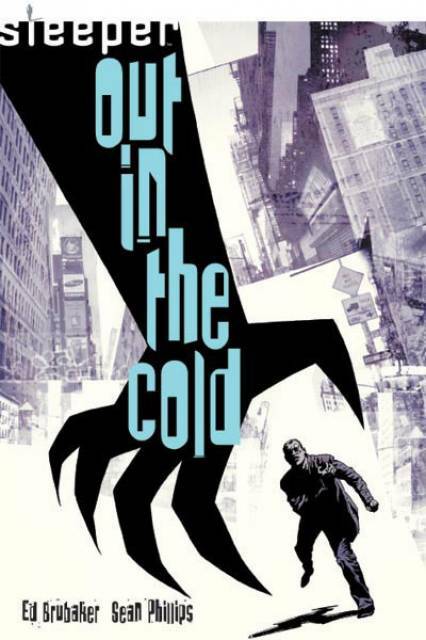 It arrived when Brubaker was in need of a change-up after one particular arc of Criminal. Incognito was a great comic, and one that felt like the pair cutting loose into some atypical directions for them. While I wouldn’t want him working in the genre all of the time, I always have fun seeing Phillips bring superpowered stories to life. He can give absurdist situations and ideas weight and gravitas, and Incognito was both of them playing with some influences I didn’t know they had in their back pocket. That said, the last time we saw the two of them work in this world was in early 2011. Given how that mini wrapped in open-ended fashion and how they have circled back to other projects, I quizzed Brubaker on whether this was a project they might have a little less love for than others. That wasn’t the case. I’d never want to guide the pair one way or another, but I for one would love to see another story or two set in this world. It was an entertaining and well-crafted comic, and one that had a lot of possibilities. If Sleeper was an unusual project for Wildstorm, Fatale – Brubaker and Phillips’ first Image collaboration – felt the same for the pair, at least in concept. I mean, it did and it didn’t. On one hand, a noir story with a femme fatale at the center is right up their alley. But the supernatural, Lovecraftian elements made it a surprising addition to their oeuvre. Yet, as with anything they’ve done, it was very much them and certainly a memorable and accomplished project. And it was all inspired by another writer altogether. While that central element was driven by trying to invert the perception of this core noir concept, another previously unpublished project fueled the occult side. Fatale was a notable project for the pair as well due to the gender of the lead. Josephine – or Jo, as she’s most commonly called – is their first full story lead that is a woman. Jo ended up being one of their most enduring, unforgettable creations even though much of the story happens around her. Like the cast who obsesses over her, it’s easy to fall in love with her, especially with how Phillips realizes her. She’s as real of a creation as any in their library, and that’s even considering her immortal and inherently fantastical nature. Brubaker had a lot of fun with that part of the character. 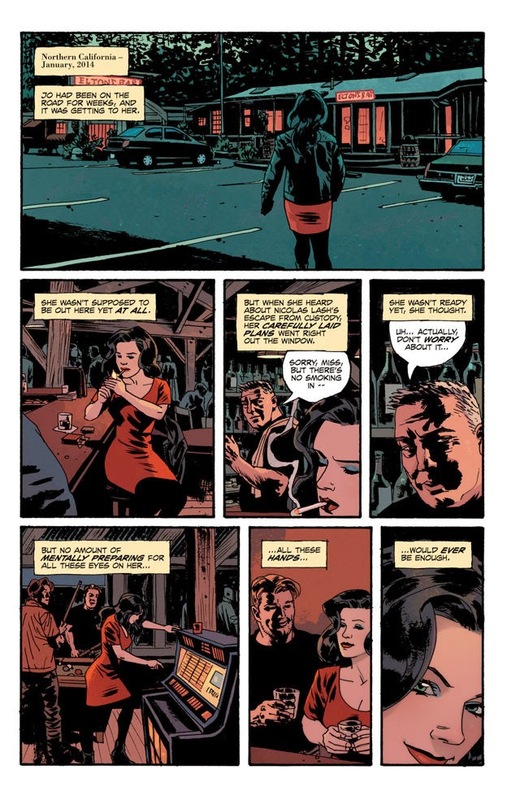 While this book found Phillips taking his art in a lot of interesting directions – the culminating chapter of the series found him going very outside the box with some brutally effective layout decisions, and he even worked in some fascinating style shifts – Fatale may be most notable (art wise, at least) for bringing in the third member of their creative partnership: colorist Elizabeth Breitweiser. She came onto the book after a bit of miscommunication with colorist Dave Stewart over how long the series would run, and she was immediately a brilliant fit. Personally speaking, Breitweiser’s one of my favorite colorists in the business. She can orchestrate tone and mood as well as any artist, and adding her to the mix was beautiful, fateful alchemy. She was a perfect addition as the third member of their team. As with everything they do, The Fade Out works, and it works well. In fact, it’s one of the best things they’ve ever done, delivering a lean, powerful and engaging story of murder and intrigue over a brisk 12-issue read. It was an era they both clearly enjoyed exploring, and it was something Brubaker himself was eager to tackle after they signed a deal with Image that allowed to them release whatever comics they want with the publisher over a five year span. It was also something he had a personal connection to, which was a big reason for this kind of story being something that pulled at him over the years. Ed Brubaker and Sean Phillips have made a hell of a career of telling the stories they want to tell the way they want to. Sure, they’ve refined their process and learned a lot along the way, but when you look at all of their collaborations, one thing stands out above all: these stories are unmistakably their work. No one else can do Brubaker and Phillips like they do. Each panel, page and issue is a signature of what they do, even as their subject matter changes and their work evolves. And thanks to their deal with Image, the pair will be doing their thing in unfettered fashion for the foreseeable future. That anxiety driver – pitching – has been removed from their equation thanks to the Image deal, and they can now focus on telling their stories the best they can and the best way they can. That’s why you see experimentation in the format of their titles, like how they’re using oversized magazine variants (including the upcoming Criminal 10th Anniversary Special), as well as the pair not just playing back the hits with the work itself. As for what’s next, Brubaker said their next project “has an even more complex narrative than The Fade Out did,” before adding, “but it’s very different.” Whatever it is, I’m excited to read it. But that’s the amazing thing. No matter what work or genre they tackle, I know with absolute certainty that whatever comics they make together will be good. You can’t say that about many creative teams. And the good news is that one way or another, this team that has become one of the greatest collaborations in comic book history will be making comics. And they’ll be doing it together. Thanks to Ed Brubaker for answering my questions, and to Brubaker and Sean Phillips for the years of great comics. Looking to read what’s next from them? 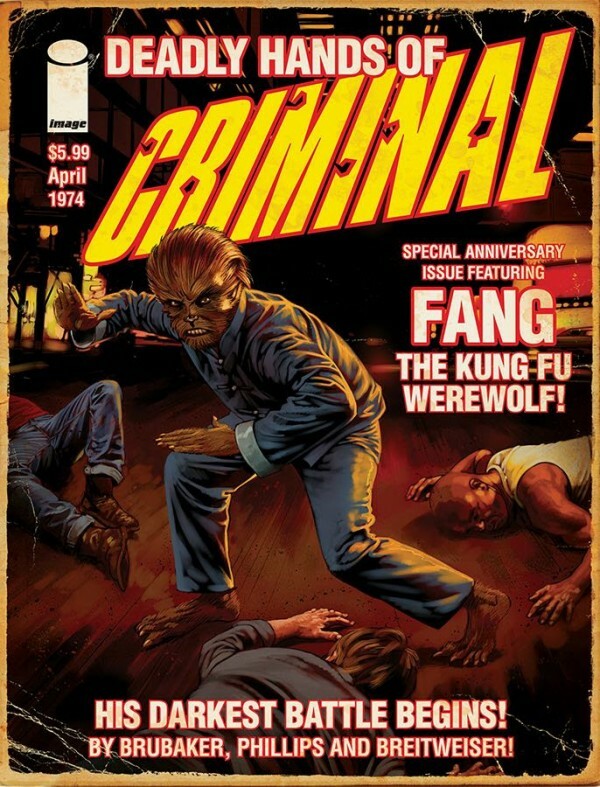 Today is final order cutoff for the Criminal 10th Anniversary Special. Tell your local comic book shop you want it – especially the sure to be amazing magazine variant.